Notwithstanding the speculation on the durability of the new-found alliance with one-time rival BSP, Samajwadi Party chief and former Uttar Pradesh Chief Minister Akhilesh Yadav says the 23-year-old acrimony with Mayawati and her party “is a thing of past”. “All that is irrelevant now is that both parties are walking ahead, hand in hand, to achieve a larger national objective of defeating the Bharatiya Janata Party (BJP), which is detrimental to both the state and the nation,” Yadav said in an interview to IANS. In a detailed interview after the stunning defeat the Samajwadi Party dealt to the BJP by trouncing it in Gorakhpur and Phulpur Lok Sabha byelections, seats held earlier by Chief Minister Yogi Adityanath and his deputy Keshav Prasad Maurya, Yadav said that the BSP-SP combine was like a “glue which will knock the daylights off the arrogant and useless BJP government”. The BJP, the 44-year-old leader added, would often ridicule how the opposition had no narrative to take on the saffron camp. He pointed out that with the coming together of the BSP and SP, the narrative had finally arrived. What about the bitterness that enveloped the relations between Mayawati and his own father, Mulayam Singh Yadav, particularly after the attack on her? Dropping enough hints that the BSP-SP bonhomie would continue till the 2019 Lok Sabha polls when Prime Minister Narendra Modi will seek another term for his government, the former Chief Minister said his party already had the development plank and now what it was doing was to emulate the BJP in micro-booth and caste management. Asked about the mercurial nature of the Dalit diva Mayawati, he said that time changes people. Akhilesh Yadav said he was now doing what the BJP had taught them. After the Lok Sabha byelection victories, Akhilesh Yadav drove to Bahujan Samaj Party leader Mayawati’s residence for a 30-minute meeting. 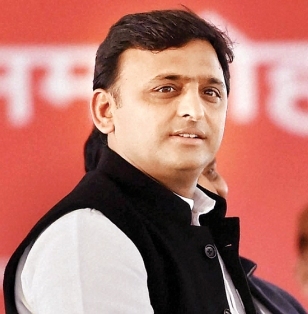 Akhilesh Yadav accused the Yogi Adityanath government of doing nothing in Uttar Pradesh in the past one year as compared to the “exemplary development” under his watch. Getting philosophical, he recounted how having studied in a military school at Dhaulpur in Rajasthan and later in Bengaluru, he had forgotten he was a backward-caste person. He listed many failures of the state government while calling the BJP confused and jittery. He pointed out how they were trying desperately to find an answer to the coming together of the BSP and SP.